There are several things that can cause your garage door sensor yellow light or the door itself from working properly. Although this may seem like a complicated issue, most of the time it’s not. As long as you have a few basic tools and a little patience, the fix is usually pretty easy. 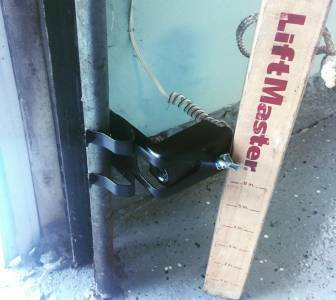 Liftmaster suggests them be placed no higher than 6″ (150mm). As of January 1, 1993, it became mandatory that all garage door openers have safety eye sensors built into them. These sensors are designed to protect children from unnecessary harm and are usually positioned about 6 to 8 inches in front of the vertical tracks that the garage door moves up and down on. There are two sensors. One is a transmitter that sends a beam, and the other is a receiver that reads the beam. When this beam is obstructed by an object of some sort, you won’t see a solid yellow light, and the garage door will immediately quit working. For people who do not know, the transmitter has the yellow light and the receiving sensor has the green light. The garage door sensor yellow light and the green light together create a solid illumination. Start by measuring one of the sensors to see if it’s at least 6 inches above the garage door. If it is, note the exact height. For example, 6.75 inches. Next you’ll want to measure the second sensor. If it’s not at the exact height of the other sensor, you’ll need to adjust it. To adjust the sensor, loosen the wing nut with your wrench and set t it to the exact height that the other sensor is at. For example, 6.75 inches. Once you have finished doing this, you should see a beam. Give your garage door opener a try. If you find that it’s still not working, or you still don’t see a solid yellow light, look for obstructions. These obstructions can include things like spiderwebs or dirt that got on the outer lens of the sensors. The easiest way to fix this is to take a clean rag or towel and wipe off the lens. In fact, this is something you may want to consider doing 2 to 3 times a year. Now that you have made sure there are no obstructions, and that both sensors are aligned properly, your garage door opener should work. On the chance that it still doesn’t, the problem could be the wiring. Start by inspecting the wires that are going into both of the sensors. Check to see if any of the wires have become disconnected, or they’ve become withered from old age. If you do see that there are disconnected wires, make sure you turn off your garage door opener before you reconnect them. This is to keep you from getting electrocuted. On the other hand, if these wires worn out, you’ll have to replace them. 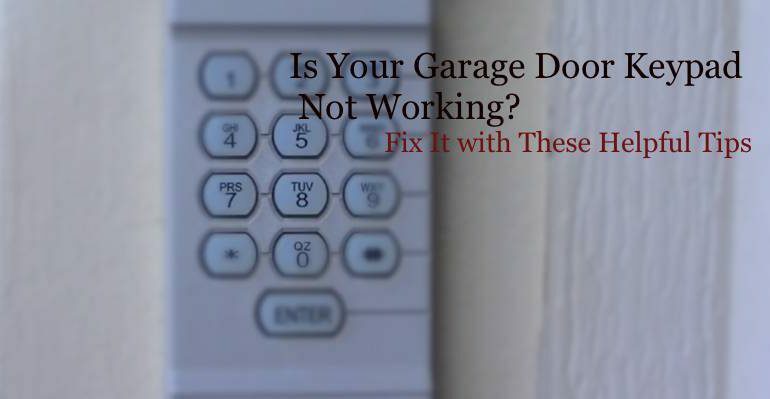 If the wiring is fine, and your garage door opener is still not working, then the problem may be that one of the sensors has simply failed. This can happen from old age, your basic wear and tear, or even constant exposure to the sunlight. Start by unplugging your garage door opener. Take your wrench and loosen the wing nuts on both of the sensors. Once the wing nuts are loosened, disconnect the sensors, and take them off. Attach your new sensors, but make sure you use your tape measure to ensure they are exactly the same height. Tighten the wing nuts on both of the sensors and plug your garage door opener in. After you have successfully replaced both the sensors, give your garage door opener a try.